Fundraising professionals generally recognize James Greenfield’s finding that average fundraising cost per dollar raised is $0.20 (Fund-Raising: Evaluating and Managing the Fund Development Process). Obviously, the goal is to reduce this fundraising cost as much as possible in order have more funds for mission. Let’s look at one way to reduce costs associated with an annual appeal while at the same time broadening the reach of the appeal to grow the donor base, increase donations and further decrease the average cost per dollar raised. 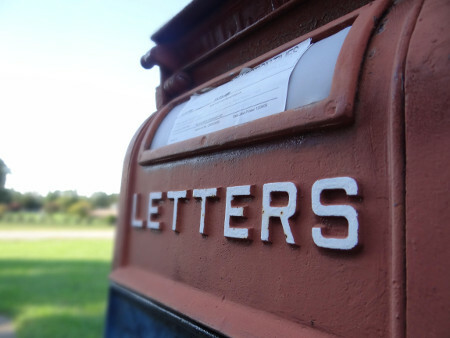 Let’s consider the variables associated with a direct mail annual appeal. Reduce A by sending eAppeals to those households who prefer to be communicated with via eEmail. Reduce D by automating payment processing, thank yous and receipts. By adding an online element to the annual campaign, an organization should see cost savings that get better with time as more and more donors move online thereby increasing efficiencies. The question, then, is…. Why do so many organizations have BEAUTIFUL printed annual appeals and no corresponding donation page online? When the annual appeal is being designed, be sure to ask for images in sizes and formats that are suitable for both web and print. Include the URL for the digital giving page in the printed appeal. Use the images and language from the printed appeal to create an online donation page. Actively promote the online page via email and social media. Keep track of how many staff hours are dedicated to activities related to the campaign and calculate administration costs based on hourly wage of the employees involved * the number of hours. This should be done prior to efforts to move donors online so that a benchmark can be established. After significant effort to move donors online, re-evaluate staff hours dedicated to the campaign to see if/how they have shifted. Please understand that I am not at all suggesting that nonprofit organizations do away with direct mail. But direct mail pieces convert more donors when there is a way for recipients to respond by going online to make a gift. And there are some constituents who prefer not to receive mail because they see the expense of the printed material and postage and wish that it were going to mission instead. These people will enthusiastically opt-in to email appeals in order to save the organization money. Not only that, you can promote “greener” giving by suggested that your constituents opt in to receive appeals via email and opt-out of direct mail. Most nonprofits create an annual appeal every year and dedicate resources to the content, the images and the design of the piece as well as to the administration of the campaign. Why not apply these same resources to an effort that will increase giving and reduce costs over time?